Hard water is a common problem throughout the area, but that doesn’t make it any less annoying. 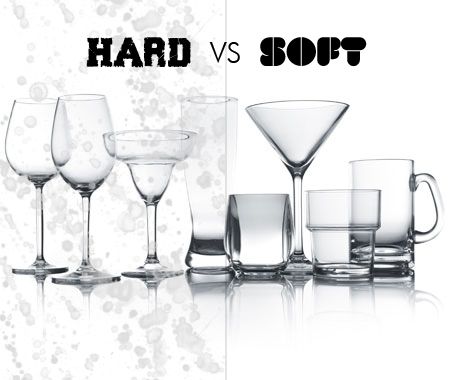 Hard water can ruin your dishes, damage your clothes, and affect your skin and hair after a shower. We are the most qualified water softener installation and repair company in the area. We have the trained staff and expertise to get you set up with a unit that can solve your hard water problems. Hard water is a simplified term to describe water whose calcium and magnesium levels are too high. When the concentration of these two elements are too high, the can erode plumbing and appliance connections, stain your dishes, and damage your skin and hair. Luckily, hard water cannot cause permanent damage to your body, but it can permanently damage your plumbing, appliances, and dishes. Call us as soon as possible and start enjoying the soft water that you deserve. 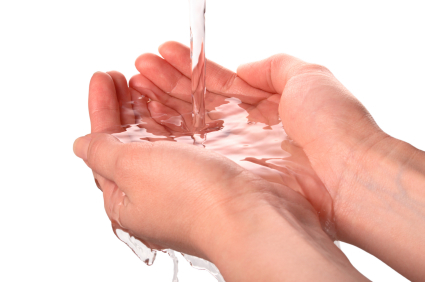 Water softeners help maintain the proper balance of chemicals found naturally in the water supply. Water softeners offset the harsher chemicals and help achieve a more natural balance to the water’s chemical composition. If the water is left untreated, the harsh chemical can aggravate your skin and damage property and plumbing. This problem cannot be fixed naturally. It requires the installation of a properly functioning water softener. Hard water can not only corrode the surfaces of your sink, faucets, and tubs, it will first stain them with unsightly white, opaque residues that cling to the surface, making them nearly impossible to clean. Water softeners eliminate those unsightly stains and help reduce lime scale buildup in tubs and on fixtures, resulting in higher efficiency and longer life for those fixtures. Hard water leaves its ugly residue on any surface it comes in contact with, including hair and skin. Not only will hard water leave a slimy feel to your hair and skin after a shower, it will also damage the cells causing an aged appearance. A water softener can reduce that effect and leave your hair and skin feeling silky smooth after each and every shower. Hard water has the habit of clogging the pipes and water lines that lead to certain appliances, like the dishwasher, washing machine, and refrigerator that use water on a daily basis. The hard water can eventually erode smaller metal, plastic, and rubberized parts, making the appliances less efficient and more costly to operate. A water softener eliminates this problem and allows the appliances to function normally, saving you time, energy, and money in the long run. Hard water affects appliances, including your water heater. More so than any other piece of mechanical equipment in your home, the hot water heater is extremely susceptible to the effects of hard water. It makes the hot water heater work hard, forcing you to spend more on energy bills. It makes you flush out the system more often to prevent damaging corrosion from occurring. It can affect the heating elements, leading to costly repairs. A water softener eliminates all of those problems, leaving you with a highly efficient, functioning hot water heater that will cost you less to operate. A water softener is one of those additions to your home that requires little maintenance and is often easily forgotten. However, it does require the homeowner to refill the tank with salt on occasion to keep the unit functioning properly. Without salt in the brine tank, the water softener cannot maintain the correct chemical balance of the water, and your hard water will return. Most people refill their brine tanks about once every two months, depending on the number of people living in the home and the amount of water consumed. Luckily, there are rarely problems with the mechanisms within a water softener, so service calls and repairs are uncommon. If you do experience a problem with your water softener, don’t hesitate to call us. More often than not, it is a simple and inexpensive fix. The most common problems that are encountered are clogged lines leading to or from the unit and clogged refill control sensors. Both of these are minor problems and can be fixed within a few minutes. 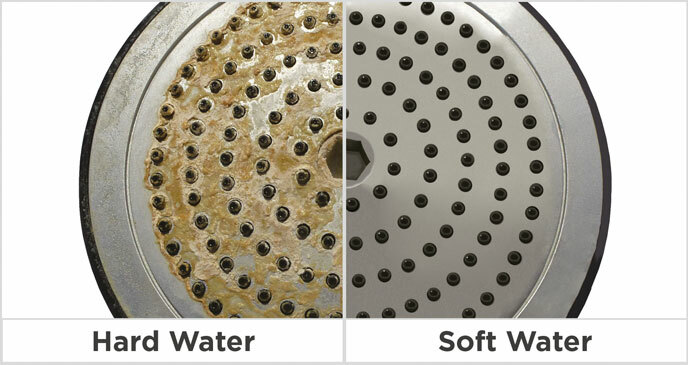 To determine whether or not you need a water softener, look for some of the telltale signs. Check your fixtures, sinks, and tubs for any residue buildup and lime scale deposits. Usually, you will notice a white, chalky residue, but it may also appear yellow or rust in color. Check to see if your soap lathers easily in the shower, if soap does not lather easily, it is a sign that the excess minerals in the hard water are interfering with the soaps natural lathering properties. Also, check your clothes. If your clothes appear dull or faded, it is a sign that the water inside the washing machine is leaving a slight residue on the material causing them to appear discolored and dull.